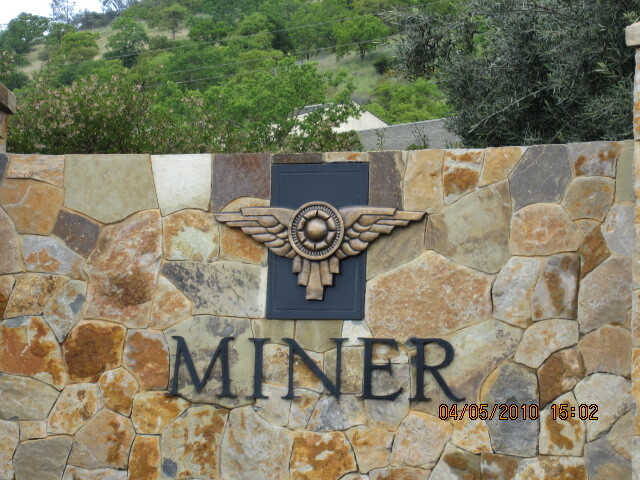 Miner family winery is a dynamic family owned winery, founded in 1998 by Dave and Emily Miner. Breathtaking views of the hillside. The tasting room is quite small but enjoyable. Being a fan of the wines for many years this was a must to visit for me. Kelly was our lovely host and she was terrific. Very friendly, knowledgeable, enjoyed talking about the wines, vineyards, and the Miner family. We tasted through about ten wines. The Viognier was showing well. As far as whites the Wild Yeast Chardonnay was delish, filled with tropical fruits, buttery, with a nice finish. The 2006 Cabernet was elegant yet full, very nice. 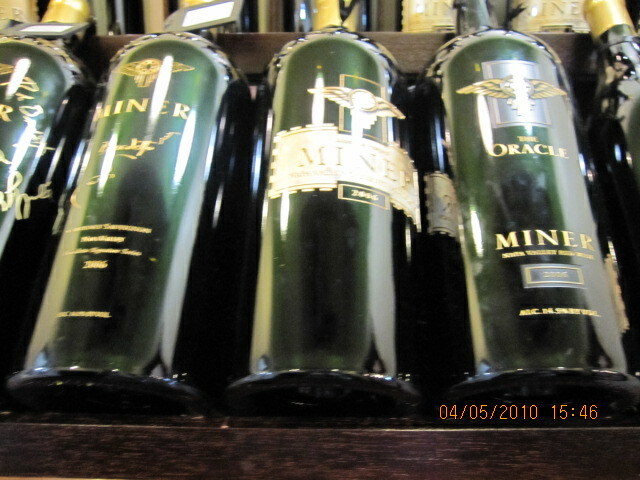 Finally my personal favorite was the 2006 Oracle, perfectly balanced, full-bodied with structure and a velvety finish. During the tasting their stemware used is all Riedel O series. It’s fun because each varietal has its own stem, or stemless! It gives you a true taste of the wines in the proper stemware. I enjoyed them so much that I bought a set for a friend. They are engraved with the Miner logo on them. Kelly told us about the Miner label being based on ancient Assyrian relief in the image of the winged sun-god. The stunning symbol represents the brilliant light of the sun, which illuminates the life of mankind while giving energy and warmth for the vines. We enjoyed our tasting very much. From the excellent quality of the wines, the small family vineyard has made me a fan for many years. Gary Brookman is consistent at making remarkable wines. Thanks for a wonderful afternoon! 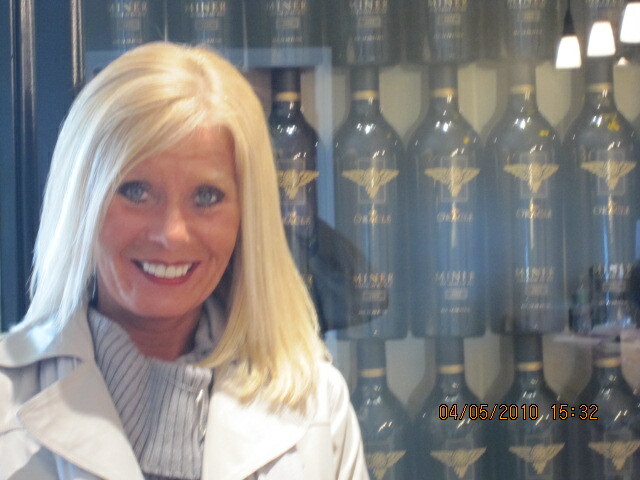 This entry was posted in cabernet sauvignon, California, Chardonnay, dry wine, Napa Valley, Stemware/ Riedel, Winery Visits and tagged Assyrian, Cabernet Sauvignon, Chardonnay, Gary Brookman, Minery Winery visit, Napa Valley, Oakville appellation, Oracle, Riedel O, sun god, Viognier. Bookmark the permalink. One thing I don’t really understand is when wine people talk about “structure.” I don’t know if I get that concept. Ha ha it’s a term that we use often why? It’s about describing the fruit, acidity, tannins, etc…elements such as alcohol as it relates to the wines texture and mouthfeel. Structure – The structure of a wine is those components which tend to support the body of the wine, holding it together, giving it lift and intensity. Acid, tannin and alcohol can all be said to be parts of a wine’s structure. OK. I think I have a better understanding now.